The Central Focus Retreat began today at the Maume Bay Lodge and Conference Center near Toledo, Ohio. 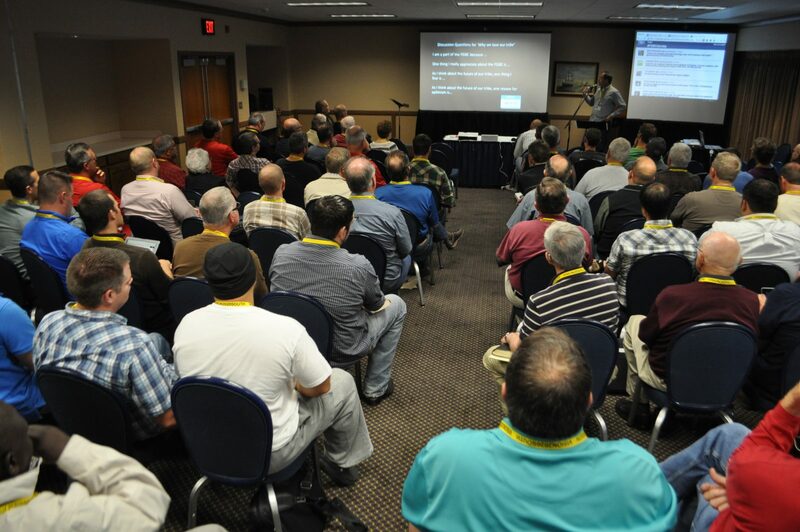 More than 80 Grace Brethren pastors and leaders are gathered for the next few days for the Central Focus Retreat. The retreat is the first in a series of annual regional gatherings and this year they are focusing on launching the Identity Initiative in the Fellowship of Grace Brethren Churches. The sessions are being held at the Maumee Bay Lodge and Conference Center near Toledo, Ohio. Participants have come from as far away as Indiana and Pennsylvania and Ontario, Canada, in North America. A special treat is the presence of two African pastors, Simon-Pierre Nadjilao, of the Central African Republic, and Yerima Betelmbaye, from Chad. Dave Guiles, executive director for Encompass World Partners, is leading the sessions, but the emphasis has been on relationship building. 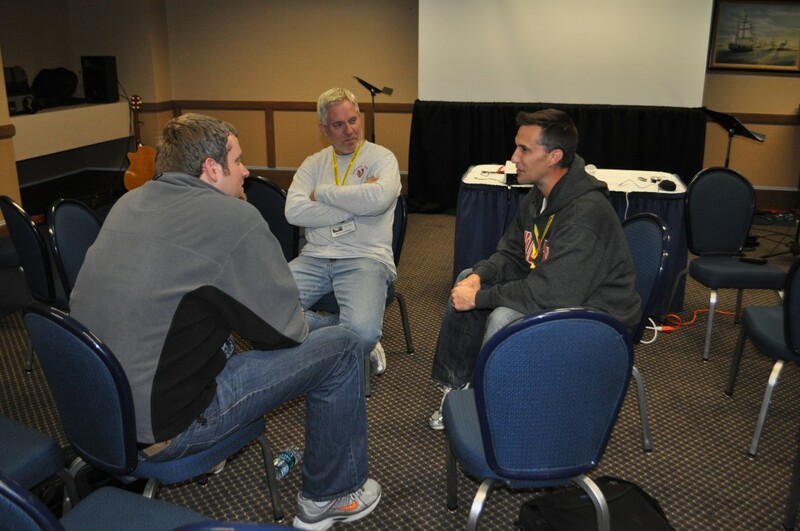 The first session, at 4 p.m., talked about “Why We Care” and focused on open, cross-generational dialogue about “why we belong to the FGBC tribe, and what we value in our tribe.” Those questions, along with a discussion of “our hopes and fears as we move together into the future,” were shared in small groups. After dinner, each generation had the opportunity to listen to each other’s stories. Participants broke into groups of three, with each person representing a young, middle, and mature generation. Jason Bradshaw, pastor of music and counseling at the Grace Brethren Church in Greenville, Ohio (Danny Wright, pastor), is leading worship. Thoughts and impressions from the two days are being captured on the FGBC Identity Wall at graceconnect.us. You may also follow the hashtag “FGBCidentity” and “CentralFocus” on Twitter, Instagram, and Facebook. Photos are also be posted on the graceconnectus Facebook page.